Hospitals face staffing challenges every day. Whether struggling to adjust for vacancies in full shift coverage, avoiding forced overtime, or optimizing efficiency, there is a direct impact to quality of care, patient experience, personnel workflow, and ultimately, cost. For hospitals with legacy scheduling software, it can be time-consuming, inefficient, and not cost-effective. In fact, some hospitals still use a paper-based system for scheduling & staffing. Whatever system is in place, the process can cause RNs to spend more time than necessary on scheduling and optimizing resources, and less time on patient care and experience. There’s a better way, and it centers around Digital Transformation. For many hospital staff members, including Charge RNs, the staffing process involves a morning ‘bed huddle.’ Unit managers review staffing in accordance with the current census, admission, transfer, and discharge information to determine potential staffing variances and identify issues. Before these meetings, managers from each department gather information about available beds and needed skill-sets. Many still use paper-based processes. Because scheduling is a manual process and the pulse of the unit is ever-changing, information entered into the system can become outdated before the meeting even takes place. Also, this manual scheduling process doesn’t allow for quick adjustments to the schedule in the event of a surge in patients, changes in patient acuity, or day-of sick calls. Patient flow can suffer, as can the overall care and experience. With an increasing direct link between patient quality outcomes and hospital reimbursement, the effects on the bottom line are clear. Instead of pulling RNs away from patient care, the Staffing Lead can use the iVEDiX Platform to monitor and adjust the staffing levels for each unit across facilities and shifts. iVEDiX features a dashboard that compares the current census to forecasted data and quickly highlights exceptions for each department. It indicates via a clear visual outlier which departments are overstaffed or understaffed for current and future shifts. This has proven to be an invaluable platform to balance the current shift and proactively resolve potential issues. 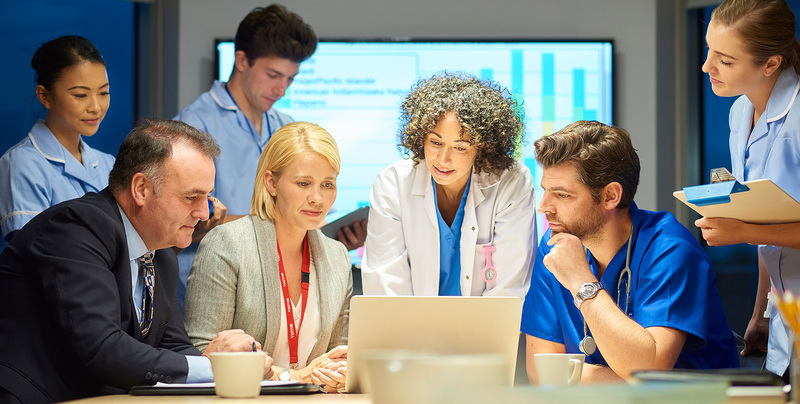 With iVEDiX, hospitals can transform the scheduling and staffing optimization process so that crucial data – such as available beds, number of nurses on hand, and the staffing needs for each unit – is accurate and in near real time. The App is available for Windows, iOS or Android and serves as a workforce planning center. When an administrator sees that the staffing level for a department needs to be increased, she can instantly view a list of available and qualified personnel who can fill the open positions. The personnel list includes the skill set, certifications, and other specific demographic information for each staff member. The Staffing Lead only needs to know that a department requires a staff member. The App tells him who has the appropriate skills, where that person is currently located, and their schedule. Once the administrator has found and selected a match, the system automatically sends a notification to the Charge Nurse who then approves or declines the staffing change, electronically and with simple digital workflow. That write-back capability is essential: the iVEDiX Platform has the ability to create data, not just consume it. iVEDiX automates most of the patient scheduling process and integrates multiple sources of healthcare data, creating a seamless human-centered experience for its users. Multiple sources of data might live in different IT systems, such as patient and staffing schedules, staff skill sets, available beds, patient medical records, and more. But, all are accessible from one easy-to-use application. All the answers reside in a single pane of glass. Scheduling software shouldn’t have to require dozens of clicks and multiple logins to navigate. Searching for and finding a resource to fill a department opening shouldn’t take 20-30 minutes each time, or remove the Nurse’s focus from where it should be… on the patient. Staffing shouldn’t be based on data that has already become out of date. RNs shouldn’t be burdened with a challenging and time-consuming staffing process. With iVEDiX, they don’t have to be. Bitcoin is the talk of the tech industry these days – earlier this month, the value of a single bitcoin surged to more than $16,000. While most people today have heard of Bitcoin, fewer understand Blockchain. 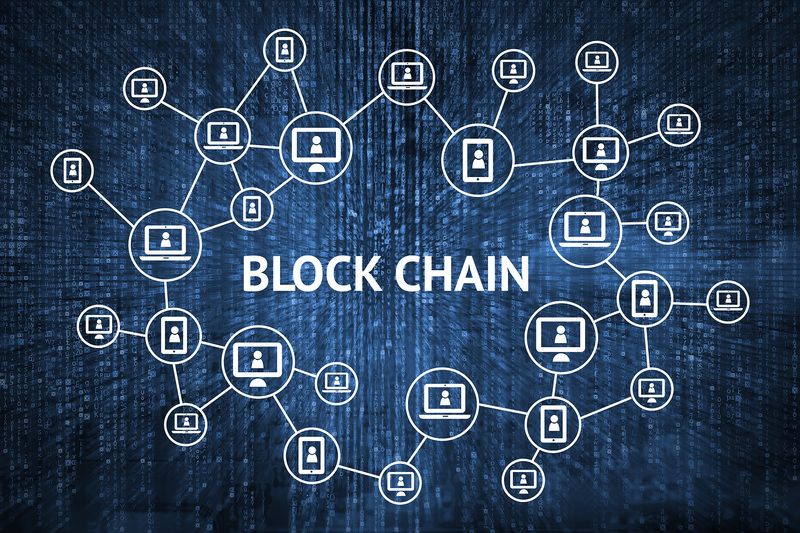 Blockchain is the technology that runs Bitcoin, and many companies are using it to track medical supplies, remove banking bottlenecks, improve food safety, and extend the capabilities of smart factories, to name a few. Blockchain is technology that records and saves a record of every single transaction, in order, from the time the very first transaction was conducted. It’s a distributed ledger for chains of digital transactions, called blockchains. Blockchains are managed by peer-to-peer networks that are decentralized and autonomous. These networks verify transactions, vouching for the two parties involved in a transaction. Once a transaction is verified, it is recorded in a blockchain. This verification process eliminates the need for a central authority or a third-party institution like a bank, government, or stock market to authenticate transactions when payments and other digital information are exchanged. Blockchain technology allows funds and other digital information to be transferred quickly and securely anywhere in the world. Blockchain technology could be used by public health organizations to track drugs and other medical supplies as they move throughout specific countries. For example, supply chains in Africa could use the technology to track AIDS drug supplies as they move from the source to the patient. Physicians in the field could use blockchain-based smartphone applications to track the medical supplies from the time they ship out to the time they are received. Governments around the world could use blockchain technology to remove banking bottlenecks by making fiat currency, cryptocurrencies, and other banking services available to smartphone users in their countries. Many nations have residents who are underserved by mainstream banks, and blockchain-based smartphone applications could provide them access to secure and reliable banking services, enabling peer-to-peer financial transactions to stimulate micro and macro-economies. Grocery chains and retailers could use blockchain-based applications to monitor, track, and validate the information for dairy, produce, and other perishable products. Grocery stores could then know for certain where where produce is grown, how perishable food was handled, how dairy products were stored, and other vital data. Manufacturers that have used Industry 4.0 design principles to build smart factories could use blockchain technology to expand the capabilities of those factories. They could use blockchain-based applications to track parts as they move through factories and replacement parts as they move throughout the entire supply chain. Manufacturers could also use blockchain technology to improve transparency and accountability when it comes to operations and logistics. By leveraging blockchain, cognitive analytics, and other advanced technologies, manufacturers could build not just smart factories but brilliant factories. This blog post highlights only a few of the potential use cases for blockchain technology. Companies around the world are already developing many new and innovative use cases for blockchain. It’s not just for running Bitcoin anymore. It’s not just for cross-border payments. Blockchain technology has the potential to create new markets, new manufacturing processes, and transform entire industries. Recently, we published a blog post that highlighted the rise of IoT leading to a continuous generation of massive volumes of human-generated and machine-generated data. The volumes of streaming data along with the advent of intelligent sensor technology, improvements in RFID tagging, and the availability of advanced technologies such as AI, machine learning, and cognitive analytics have led to the rise of Industry 4.0. The term “Industrie 4.0” was first coined more than a decade ago by the German government regarding a strategic initiative promoting the computerization of manufacturing. Interest in Industrie 4.0 started taking off at the end of 2012 when the Industrie 4.0 Working Group presented recommendations to the German Federal Government for implementing advanced manufacturing solutions based on Industrie 4.0 design principles. Today, Industry 4.0 refers to a “fourth industrial revolution” where IoT, cyber-physical systems, cognitive computing, and other advanced technologies enable the creation of “smart factories.” The smart factory represents an automated system that is flexible and fully connected. It leverages massive volumes of streaming data from many disparate sources. It’s a system that goes far beyond traditional automation. 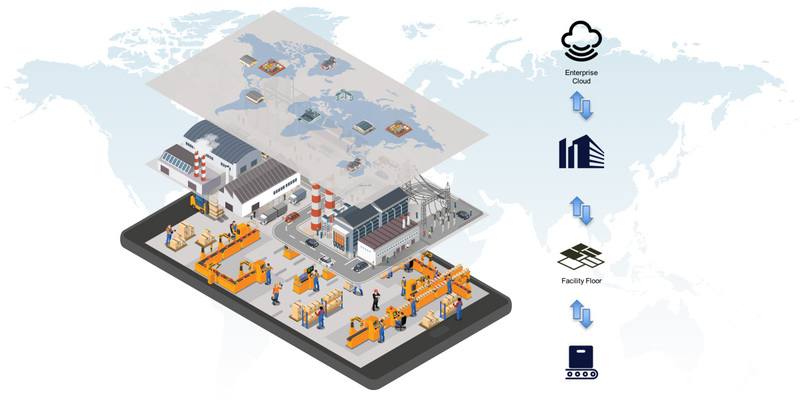 The smart factory requires a network of connected devices, sensor-enabled equipment, and inter-connected systems. Two of the most crucial building blocks of a smart factory are sensors and RFID tags. Sensors continuously generate data for every aspect of the manufacturing process — data that can be collected and analyzed in real time. 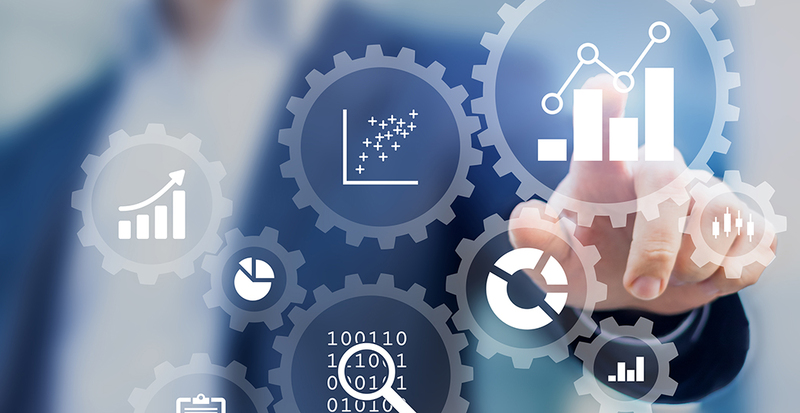 The manufacturing operations manager can then take this data and make real-time decisions, provided you have a real-time Digital Platform for visualization, rules, and alerts in place. Many different industries use RFID tags, and these tags can be attached to a variety of objects such as clothing, cars, and machines. RFID tags can even be implanted in pets and people. The tags are used to automatically identify and track the object. For example, a product with an RFID tag can be tracked by the manufacturer in real time so that the manufacturer knows precisely when the product left the factory. 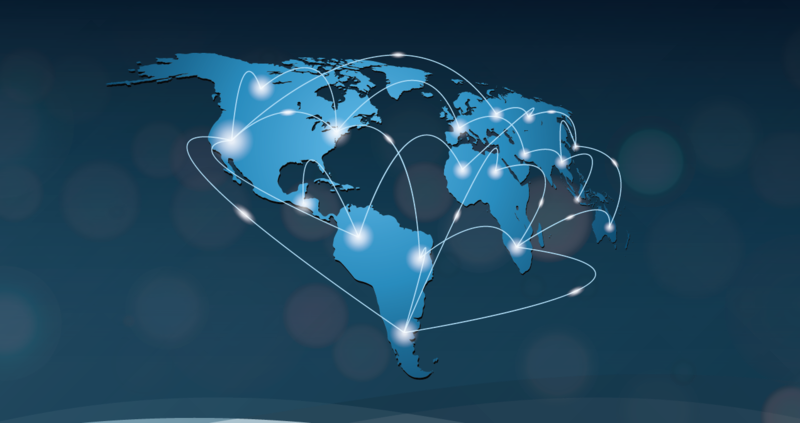 The transportation service can then use the tag to hone in on the product’s exact location throughout its shipping journey until it arrives at the specified destination. While you can’t have a smart factory without sensors, you also can’t have a smart factory without technologies that can collect, store, and analyze the data generated from those sensors. The smart factory needs technologies that can collect, store, and analyze data from other sources such as factory management systems, CRMs, and ERPs. For a factory to truly be smart, it needs a digital platform like iVEDiX that can access the data collected from all these disparate systems and apply cognitive analytics to lead to actionable insights from that data. The digital platform is Cognitive Analytics, Personalized Workflow, Low-Code Applications, Location Intelligence, and AI, to name a few of its features. Industry 4.0 is already transforming the manufacturing industry and will continue to do so because of the potential benefits for manufacturers such as reduced downtime, improved operational efficiency, and lower operational costs. Get in touch today to learn more about how iVEDiX can help manufacturers build smart factories.